Ride and Read! NEWS by Madness Photography - Onno "Berserk" Wieringa: Hogtech, Sweden - Europe’s last choppers? Legendary Swedish long-fork chopper designer and builder Hogtech says it has arrived at a dramatic crossroads. “The countdown has started. Hogtech will manufacture 10-15 new Swedish Style A-Choppers in the next few years. Then it’s over. Forever. Now we are entering the final stretch,” says Sam Madsen. 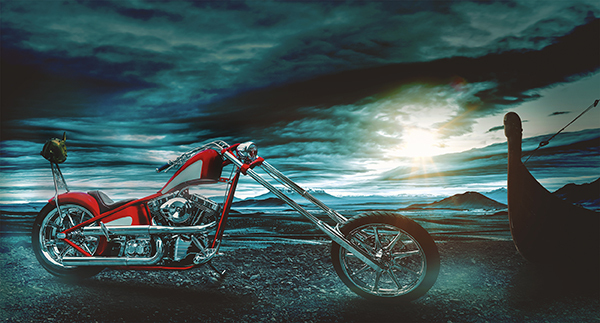 Hogtech has manufactured its classic choppers since 1982. Like so many businesses in our industry, Peder Johansson and Sam Madsen are driven by passion for riding and run the company with the interests of riders and desire to ‘Keep The Flame Alive’. Their primary driving force is the authenticity of their designs and the ability of their bikes to “eat the miles” in most conditions and deliver years of riding enjoyment for their customers. Doing so has never been easy of course, but now, finally, Peder and Sam are having to face the realities of the 21st Century and are staring the endgame in the face. “From 2017, all newly manufactured motorcycles had to meet the requirements of the Euro 4 environmental class,” explains Peder Johansson. But Hogtech has one last Ace up its sleeve. As part of the transitional provisions in the EU rules, the company has the discretion to build and deliver 10-15 registered and ready-made choppers in the next few years that have still been built according to the old regulations. “We call them ‘The Last Choppers’,” said Sam Madsen. “An epoch is now going to the grave. The classic and pure design Swedish-style Chopper has basically looked the same for 60 years - the last examples are now set to become collectibles, but we hope they end up being owned and ridden by active chopper enthusiasts who share our passions. “A chopper should run; that has always been our philosophy,” says Sam. “The adjustments required for Euro 4 would make the production of Hogtech choppers more difficult, but above all it would be like making a completely different motorcycle. “Just the electronics alone that would be required to meet the new compliance standards would make production and type approval more difficult. 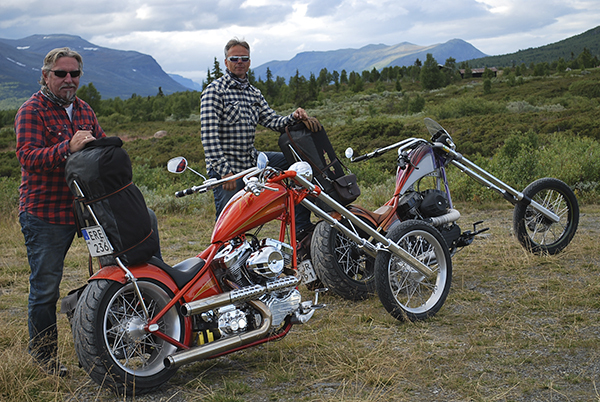 And putting ABS brakes on the front wheel of a chopper is a chapter by itself,” says Peder Johansson. The decision to shut down the production will see Peder and Sam waving the inevitable white flag of surrender to one of the major and most influential of motorcycling genres, a unique style and set of design and engineering values that has influenced generations of builders, customizers and riders worldwide since the 1960s. Sam says there will be a final series of individually numbered motorcycles rolling out of Hogtech but although the word is already out in Europe, Sam and Peder have not yet decided how to manage the sales process in order to try and ensure that they do become treasured and hard-ridden machines.